Palikapu Dedman, President of Pele Defense Fund and Ohana Ho’opakele from Big Island will be attending the 24 hr. vigil at the State Capital starting May 1 at 12 noon on Mauna Kea and asked me to spread the word and encourage others to come and talk story and strategy. This is a KAHEA, especially to Oahu friends to please try to stop by and pass the word to others. Mahalo and solidarity. The former director of the CIA leaked names of covert operatives and private conversations with the president to the woman writing a book about him. 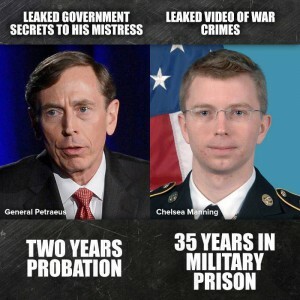 Manning shared a video of the U.S. military gunning down journalists and civilians, and had the book thrown at her. Reject a two-tiered justice system. Can you imagine such hypocrisy? Earth Day at Pohakuloa. Fire 15 million live rounds annually and contaminate the base with radiation and other military toxins and then have an Earth Day celebration. Get real. Stop bombing Mamma ‘aina. And clean up your mess. Then return the illegally occupied land to its proper owner –the Independent Nation of Hawaii. A great list of resources. mahalo nui! An exhaustive list of resources regarding TMT and Mauna Kea. The Mauna Kea 31, arrested for protecting the sacred Mauna from desecration, may or may not be arraigned at 1:30 PM Tuesday, April 28, 2015 in Hilo District Court (new large green bldg across from the county/state bldg.). Come to the courthouse at 1 PM to show your support anyway. Some, not all, either got phone calls, voice mails, or police visits to say their arraignments have been moved to Thursday, May 7th at 9AM in Waimea (South Kohala District Court). 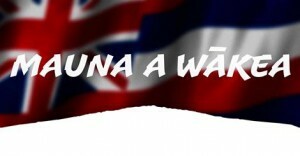 The important thing is “Kū Kiaʻi Mauna!”—“Stand strong in defense of the mountain!” See important article below. Mahalo and solidarity and please pass the word to friends.